Within Teamwork Projects, you can pick a new color theme that will show in the header area of your site. Click on your profile icon in the top right corner of your site, and select Settings from the dropdown menu. In the Settings area, go to the Color Theme tab. 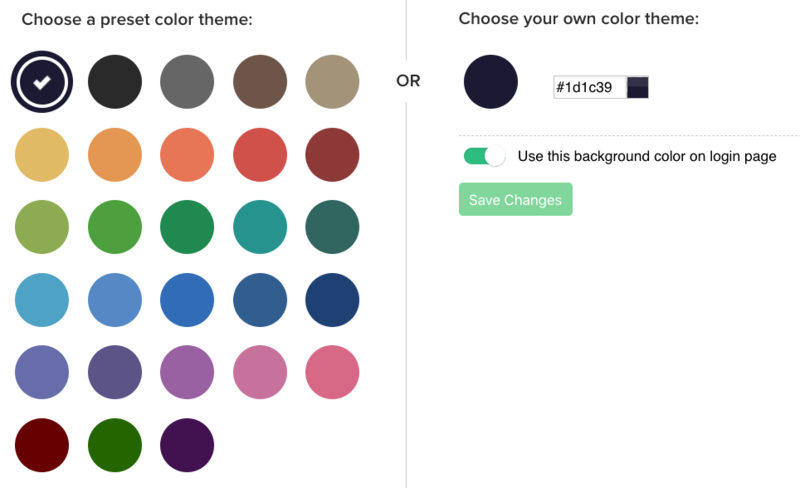 Here, you will be able to choose one of the preset colors on the left. 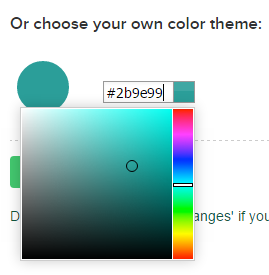 Alternatively, you can enter a hex code directly or use the color picker on the right. When you click any color, you will see a preview of that in your site header and when you are happy with the choice, click Save Changes.